I’m not going to lie to you, I went into this book knowing that I probably wouldn’t like it. I had heard tales of instalove and that is never good. My instincts were correct, this wasn’t a good book. Which is a shame, because I had high hopes for it before all the reviews started coming out. And the cover is awesome. 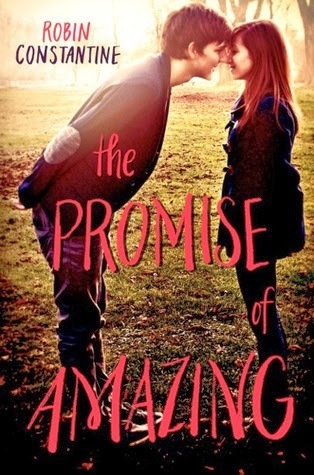 My main issue with The Promise of Amazing is the characters, and how I didn’t feel connected to either of them as a result of the stupid instalove. We barely got the chance to get to know either of them before they were falling over their own feet for each other. I wanted to learn more about Wren in particular, since I feel she is the least developed out of the two. I don’t think Ms. Constantine did a good job with any of the characters, including the secondary ones like the parents and friends. I was hoping for a lot more development with them, especially Grayson’s family who were dealing with some issues. Instead it was all shoved aside for Grayson and Wren’s instalove. It was very disappointing. The climax of the book also felt a little ridiculous. I can deal with holding back my disbelief usually, but this was just way too much. The Promise of Amazing is totally cliche, and I don’t think it offers anything new. I would compare it to the latest book in Katie McGarry’s Pushing the Limits series, because the two are very similar in the sense that the good girl saves the bad boy from a life of crime. BECAUSE GIRLS ARE ALWAYS FLAWLESS AND SHINY AND ARE BORN TO SAVE THE DOCTOR BAD BOYS. HAHAHAAH the last line! lol I died! 😀 And man, you are SO right! First of all, insta love just kills it for me. Really. And honestly, what’s it with all the ‘shy, anti-social, awkward’ girl cropping up all over the YA scene these days? Is it like an in thing or something? Because a lot of them just dont delve into the character as much as they can, and make it seem like its just surface deep, which is really irritating! And the ending?! Ugh! So, so abrupt, and senseless and made no sense whatsoever! Blah. I can’t stand this whole trend! No one likes it, so I don’t know why it keeps happening. Girls and women are much more than shy and awkward. Can’t we have a mixture instead? I’d love to see more confident or cocky or anxious or emotional or hot-headed girls in YA. Anything but shy and awkward. I am so bummed that this is receiving less than stellar reviews because the cover is so cute and it seemed to have so much potential. I was so ready to love it. Unfortunately it’s just the same old, same old. Before all the reviews, I thought I would give this one a shot. Now I’m sure I won’t. Insta-love and the sound of Grayson and the anti-climax are a no-go for me. I honestly wouldn’t bother, it might put you in a reading funk like it did with me. But this looked so good! Bah I hate when the covers are better than the actual book. Taken is another prime example. I am so sorry that you didn’t enjoy this one. 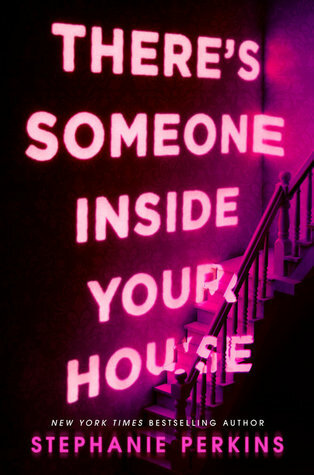 I love the cover and it made me want to read it! But- I really appreciated your honest review. 🙂 Thanks for sharing.